Traditional professional radio programming applications are designed for traditional radio stations that can and expect to pay thousands of dollars for extremely sophisticated and complex software. But what if that's not you? If you need a simple, affordable, reliable solution to automating your broadcasting needs, RadioBOSS is the solution you've been looking for. Whether it's building and scheduling crossfaded programming for your terrestrial or Internet radio station, creating the right audio atmosphere in your restaurant or store, or broadcasting from live events, RadioBOSS has been the choice of thousands of broadcasters just like you for the past seven years. • Produce professional, sophisticated audio programming for a fraction of the cost of other radio programming applications. Robust support for Internet broadcasters. - Built-in support for Internet streaming (Shoutcast v1, v2, Icecast, Windows Media Services), automatically sending metadata (upload to FTP, HTTP request, text or XML file) and using streamed Internet audio in playlists. • Work the way you want. 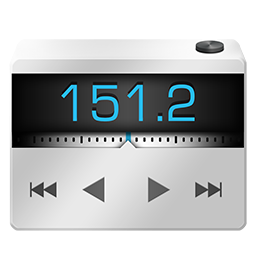 RadioBOSS lets you grab, use and work with your preferred audio formats, Winamp and VST plugins, multichannel cards (4.0, 5.1, 7.1 etc), individualized RadioBOSS profiles. • Create sophisticated professional playlists with crossfade support, automatic volume leveling, timed announcements, block rotations, advertising volume enhancement and more. • RadioBOSS's seven years of continuous improvement and enhancement means you can trust RadioBOSS to play unattended for days, weeks and months. • Third work zone added. It can host: AUX playlist, Web browser, Cart wall, File explorer and Search (View->Work Zones->3).